(W) John K. Snyder III (A/CA) John K. Snyder III In crime-ravaged 1980's New York, a troubled ex-cop turned unlicensed detective takes on his most dangerous case, hunting down a serial killer-hitman, and ultimately coming face-to-face with his deadliest enemy, himself, in John K. Snyder III's graphic novel adaptation of the celebrated story by Lawrence Block. 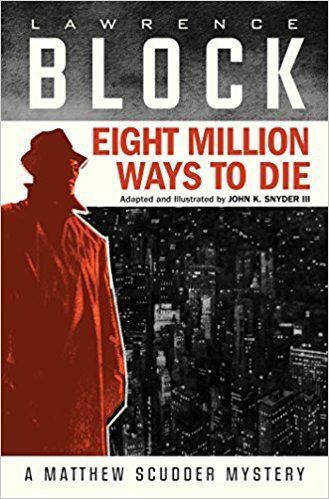 Steeped in traditional pulp, Block's writing has a true gift for capturing the art of conversation between his characters. These are the lowlifes of society, for whom Block occasionally finds redemption, but who are more often among the vilest beings in human existence. Snyder's art both encapsulates and elevates these rough-cut gems in a graphic, grainy, and moody setting that evokes the dark, noir magazine covers of the period.